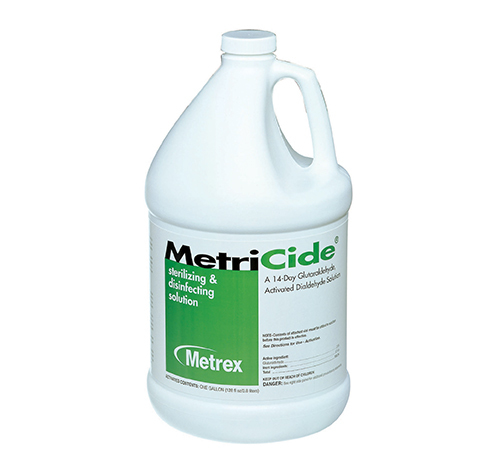 1 gallon liquid instrument disinfectant and sterilizer, contains 2.6% Glutaraldehyde. Reusable sterilant and high-level disinfectant for up to 14 days. Recommended for lensed instruments such as flexible and/or rigid scopes. Compatible with heat-sensitive medical equipment and instrumentation. 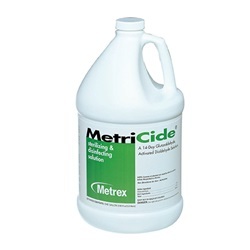 Contains no surfactants, no dilution required. Manufactured by Metrex.